With St. Patrick's Day just around the corner, everyone is seeing green! Even if your kids don't normally want to eat or drink green foods, this holiday is a great way to trick, er, encourage them to try something new! 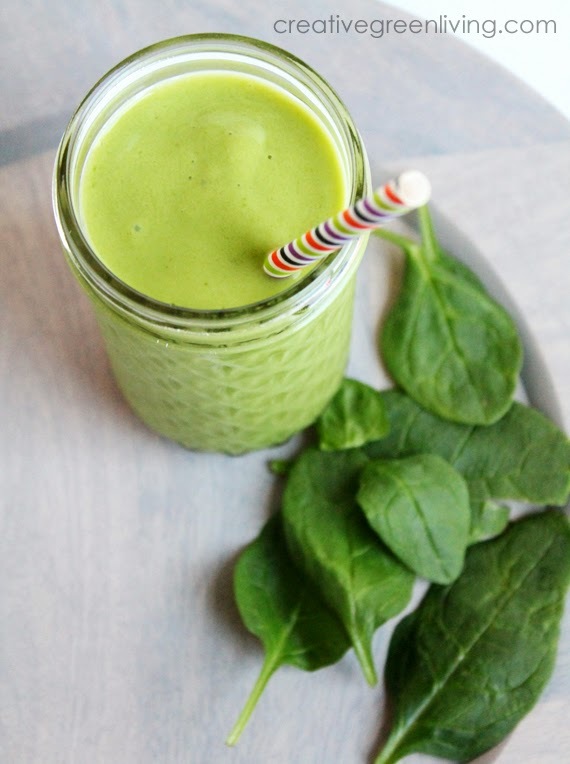 Even though it has a bright color, the flavor of spinach is so mild when blended into a fruit smoothie, you can't even taste it. *Choose organic for these ingredients to avoid GMOs, added hormones and persistent pesticides. 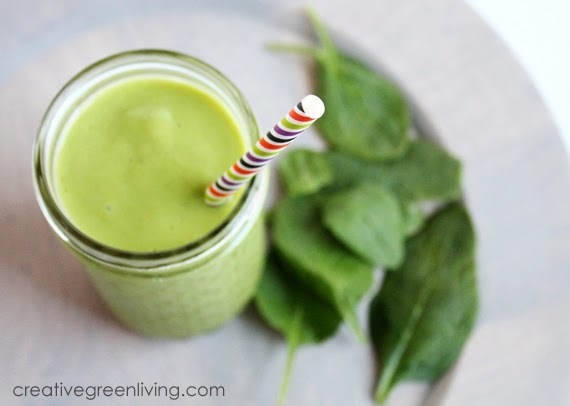 Add spinach and milk to a blender and blend well until no more small pieces of spinach remain - this is the secret to a green smoothie kids will actually drink! Add the rest of the ingredients and blend until smooth. Add more ice of desired to give it a creamy milkshake texture.